All breeds of terriers were used as hunting dogs, as they were small enough to head underground, flushing out vermin, rabbits or foxes. The fact they have an instinct for hunting can be transferred into flushing out birds from the undergrowth. Jack Russells have been found to work well on the beating line, though may sometimes fail to catch or kill the game. Training with dummies can help. Reverend John Russell bred the terriers we recognise today, a hunting enthusiast born in 1795 and can be traced to the English white terrier, which is now extinct. Distinguishing between the creature being hunted and the dog hunting it brought about the need for a mostly white dog. In 1819, Russell bought a white and tan terrier female named Trump, an ideal Fox terrier. She became the basis for Russell’s breeding programme to develop a terrier with high stamina and courage. By 1850, these dogs were recognised as a distinct breed. Training Jack Russells must begin at an early age, from around 9 to 10 weeks. This means they know the basic commands but also the boundaries for what they can do. They are fast-learning dogs and are capable of following a variety of commands, which you can use for the beating line. 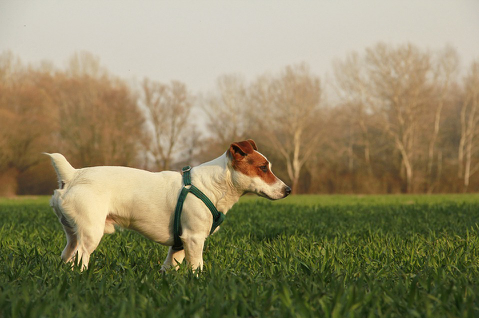 Often, the lack of training is what makes a Jack Russell unwelcome on a shoot. If you can show your terrier won’t always be killing or damaging the game it catches, it will no doubt be welcome on every shoot. Training with dummies with feather and fur can prepare them better. Using plenty of positive reinforcement will make the training more enjoyable and easier for both you and your dog. It is also important you train them around other dogs, as they are often confident and a little boisterous, despite their small size, and a lack of socialising can lead them to become bullies. Socialising your Jack Russell will teach them about appropriate behaviour around other dogs, which is important when out on a shoot around several dogs. 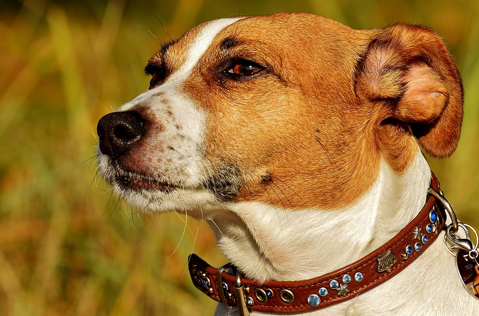 Like many working dogs, Jack Russell terriers appearance has stayed similar to how they were 200 years ago. They are sturdy and tough, measuring between 25-38 cm at the shoulder and weigh 6.4 to 8.2 kg. The body length is in proportion to the height, and the dog should have a balanced image. Jack Russell terriers are predominantly white in colour with black, brown or tan markings, often on their face or ears. They have either a smooth or rough coat, sometimes with a combination of both known as a broken coat. Their coats should not be silky if smooth or woolly if rough. As Jack Russells are a working terrier, they are an athletic, intelligent and vocal breed. It is not uncommon for them to become moody or destructive when they are not properly exercised or mentally stimulated. Their high energy means partaking in obedience classes and continuous training, particularly if they are used as a working dog, not just a family pet. Long walks are a must for Jack Russells. In terms of health, the Jack Russell terrier is known for being healthy and having a long lifespan, living up to 16 years when given proper care. However, there have been specific health concerns in certain lines, which may have occurred due to recessive genes. These can include hereditary cataracts, ectopia lentis and other eye issues along with hip bone defects. Screening when young can help determine if heredity health concerns are present. If you are considering training your Jack Russell terrier for working on the beating line, be sure to check out the gun dog accessories which can help. It is important you continue to train them, even when the shooting season is over. For more information about gundogs, check out our various guides on gundogs. When heading outdoors for training or talking your Jack Russell on long walks in the countryside, make sure you have comfortable clothes too, from a tweed shooting jacket to waterproof trousers.